Please join us March 29-31, 2019 for the AMWA 2019 Interim Meeting in Washington DC! You must login to your AMWA account prior to registration in order to see Member prices! 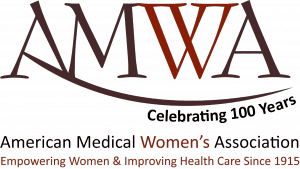 AMWA’s 2019 Interim Leadership Meeting will be held in Washington D.C. from March 29-31, 2019. You must login to your AMWA account prior to registration to view Member prices! The closest airport is DCA, though flights through IAD and BWI may offer lower prices and public transportation to Washington DC through the DC metro is easily available. From IAD – take the Washington Flyer Silverline Express to the Wiehle-Reston East Metrorail Station (silver). From BWI – take the BWI B30 Metrobus to the Greenbelt Metrorail Station (green) or take the MARC or Amtrak Train to Union Station Metrorail Station (red). The Birdhouse B&B is accessible through the DC Metro Shaw-Howard stop (green/yellow). About an 8 minute walk. Simran Soni is a third-year medical student at Howard University in Washington D.C. minor. During her undergraduate years, also at Howard, she was a dedicated volunteer at the Christ House Shelter in Washington, DC, and a Science Olympiad coach at the Howard University Middle School. 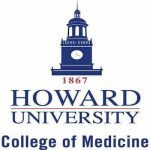 Currently, she serves as Webmaster of the New Freedmen’s Clinic, President of Howard’s Women in Medicine group, and the Student Sight Savers volunteer coordinator. Through Howard’s AMWA chapter, she plans the annual BaeGram Valentine’s Day Charity Bake Sale. She also set up an annual screening of “Someone You Love,” a film about HPV/Cervical Cancer. Last year, she organized “Women in Power,” a physician panel consisting of three female Deans from HUCM. Simran is a global nomad who has lived in several countries, including India, Canada, Malaysia, and Singapore. An avid traveler, she enjoys learning new languages. 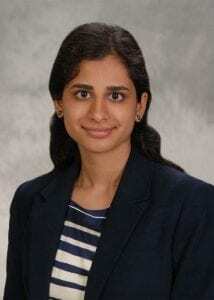 While fluent in Hindi, Punjabi, and French, she is learning Spanish in her spare time. Outside of academia, she enjoys running, listening to music, and swimming.